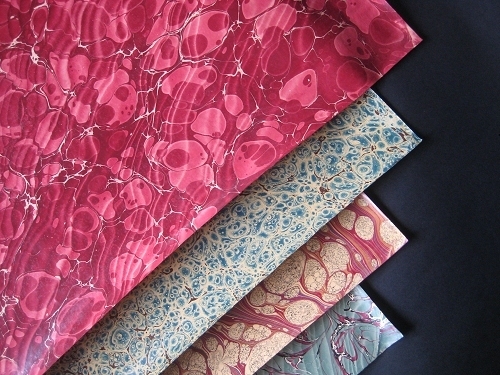 There are 9 designs in this beautiful range of stunning Italian hand Marbled, antiqued finished papers. The papers, all of which have traditional European designs, are hand polished with beeswax, reminiscent of late 19th traditional papers. The sheet size is approx 50 x 70cm (long grain). The sheets are produced from 90gsm archivally buffered (acid-free) laid paper.